Jaydeep Steels is a leading manufacturer, supplier, stocker, and exporter of the finest range of Aluminum Fasteners, to various national and international customers. Our main aim is to become the most trusted Aluminum Fastener Supplier in the eyes of our customers by serving them with the excellent quality products. The use of our Aluminum Alloy fasteners in the automotive industry is very wide because of the reason that Aluminium as a metal is highly lightweight and hence, can be used to join two lightweight components effectively. Some of the key applications of Aluminum Fasteners include cylinder head cover, gearbox housing to the engine, and other Gearbox applications. Keeping in mind our customer requirements, we manufacture the Aluminum Fasteners in various kinds of range, standard, specification, and grade. The different types of available grades are 6061-T6, DIN 933, DIN 931. Our fasteners are especially used in industries such as aerospace, defense, automotive, petrochemical, waste processing, marine and pharmaceutical sectors. We have a staff base which has much knowledge about the manufacturing process and hence carry out the entire process without any error. 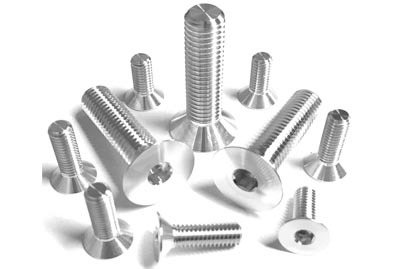 The various kinds of available Aluminum Fasteners are Aluminum Nuts, Aluminum Bolts, Aluminum Screw, Aluminum Washers, Aluminum Anchor Fasteners, Aluminum Stud Bolts, and many more. We maintain complete adherence to all national and international quality standards. 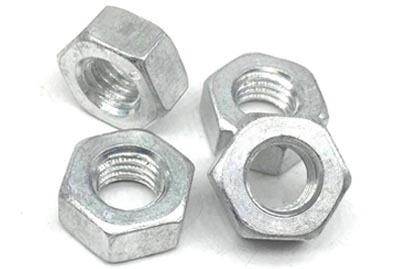 Because of the use of modern technology, advanced machinery, and affordable pricing technique, over the years we have transformed ourselves to be one of the most successful Aluminum Alloy Fastener Manufacturer, worldwide. Contact us today to get a free estimate! Jaydeep Steels stocks a wide range of materials and grades. Below is a list of all standard aluminum fasteners materials and grades we stock. Our experienced team of metal experts will get you the metal you need when you need it. Call us today for your Aluminum Fasteners Needs!